The arenas in Orangeville were filled all weekend long during the 41rst annual Sweetheart Tournament hosted by the Orangeville Girls Hockey Association. 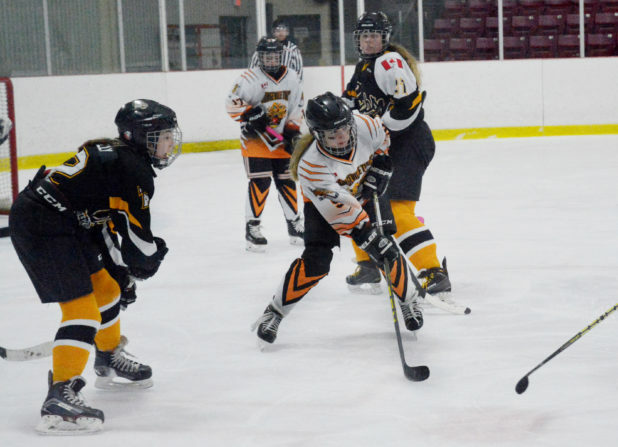 The Orangeville Tigers were well represented on the ice with 14 Tigers teams entered in competition. Other teams arrived from around the province making a total of 78 girl’s hockey teams that entered the tournament this year. The Sweetheart Tournament is named after the original girl’s hockey team in Orangeville. They have since changed their name to the Tigers. The Novice B team went to the provincials last season going all the way to the final but were edged out in the championship game and brought home a silver. opportunity to compete against other players in a series of on-ice skills. The four day tournament wrapped up on Sunday with the final championship games.